This will prevent Bookrapt from sending you messages, friend request or from viewing your profile. They will not be notified. Comments on discussion boards from them will be hidden by default. Sign in to Goodreads to learn more about Bookrapt. Bullseye Balla won the Tom Fitzgibbon Award for 2018. Author James Guthrie has hit the bullseye with his choice of heroine in a male-dominated sport. He has created characters who are believable, a family situation that is all too common, and combine Bullseye Balla won the Tom Fitzgibbon Award for 2018. Author James Guthrie has hit the bullseye with his choice of heroine in a male-dominated sport. He has created characters who are believable, a family situation that is all too common, and combined these with a strong competitive element. There is humour tempered with moments of concern – over finances, over children being removed from their mother, and over the bullying that Bella experiences from older men. Bella is a serious 12 year old, wise beyond her years. She has had to cope with her parents separating, she has to help in the house as her mother works shifts, and she has to help with her brother who has learning challenges. Max, 8, is a challenge, but Bella and her mother have adjusted to his pirate stage and his special school is supportive. When Bella overhears a conversation that indicates that the costs for Max's schooling will become a challenge, she seizes an opportunity to make some money to help her mother. The dart competitions, both local and national, provide plenty of opportunity for humour while at the same time exposing Bella to male chauvinism and unfair attempts to put her off her game. Her own nerves at performing in public create enough of a problem without her having to cope with first Carver and his drinking mates then Frankie 'Goldfinger' Phillips. Fortunately Bella encounters adult supporters at the pub, at school and at the finals, plus her mother, adults who come to believe in her skills at the game and her strength as a person. Bella's responses to the 'baddies' of the story show her increasing maturity as she thinks through her responses to these much older men and finally outwits them. Her young brother's support has been crucial at times – and his trainee astronaut stage looks as if it will prove easier for Bella and her mother! For readers from 8 to young teen, this is not just a book that girls will enjoy. Yes, there is a strong-willed but compassionate lead female, but the world of competitive darts is still a largely male domain and boys too will enjoy reading about Bella's challenges. And a lunch time darts club at school? Why not? and feed like a filter. Minky Stapleton incorporates the text into her illustrations with large white letters on a black background for the shrieks. This contrasts well with the soft water colours of most pages. Another interesting technique is the juxtaposition of distance and close-up views on opposing pages. For example the crab appears small beside their feet, but is large and more detailed on the facing page. With both English and Maori versions available, this is a book for all Kiwi kids. Author Linda Jane Keegan handles this nuclear family with a difference as a normal situation which, increasingly, it is. Well done. This hardback children's picture book tells the true story of Bess, one of thousands of horses who were taken by troopship from New Zealand to North Africa where New Zealand troops were involved in World War 1, the Great War. Life for Bess in Egypt wa This hardback children's picture book tells the true story of Bess, one of thousands of horses who were taken by troopship from New Zealand to North Africa where New Zealand troops were involved in World War 1, the Great War. Life for Bess in Egypt was very different – desert sand rather than grass, camels, gun practice and finally, machine-gun fire and an infantry charge. After the war was over, only four of all the horses who had left New Zealand were allowed to return. First written as a story for older children (Brave Bess and the Anzac Horses), author Susan Brocker has re-worked this tale to suit a younger audience. The horrors of ship life and of battle are not skipped over but have been handled sensitively. Scholastic has presented young readers with a true story, one of a series on New Zealand animals. The author's use of language is excellent as always: 'She was a fine filly, frolicking in the fields with her friends.' This alliteration does not feel in any way forced. Raymond McGrath's illustrations are moody and evocative. He makes good use of contrasting light and dark, for example the double page spread showing the loading of the horses on to the troopship, unaware of what lies ahead. Also foreground and distance, as in the illustration of horses in the desert, with the tents of camp behind, and the pyramids in the haze of beyond. Illustrations also vary from small to full page. In this way Raymond McGrath has succeeded in showing the various stages of battle within the p[age constraints, adding further detail to the reduced story line. Scholastic is to be commended for this fine publication which will attract readers of horse stories in particular and animal stories in general as well as being a worthy addition to New Zealand's growing war literature for young children, joining tales such as The Anzac Violin and others. First published in 2005 by Scholastic NZ in their My New Zealand Story series that targets young readers of 10 and above, this new edition is timely. New Zealand suburbs and schools face increasing diversity of nationalities and a changing racial pop First published in 2005 by Scholastic NZ in their My New Zealand Story series that targets young readers of 10 and above, this new edition is timely. New Zealand suburbs and schools face increasing diversity of nationalities and a changing racial population balance.It is increasingly important for all New Zealanders to not only welcome new neighbours, but also to have some historical knowledge of the races who have co-existed in New Zealand for many generations. Silvey must learn to navigate the twin worlds of Auckland with its largely western style of education, businesses and homes and the Chinese district where she lives with its Chinese school, local businesses with homes above, and its own festivals and traditions. The reader learns some of the reasons for Chinese migration of the 1860s and 1870s and then through the twentieth century, and the hardships and discrimination faced. We learn about the Chinese New Year and the tradition of clearing of the graves of ancestors. As well we come to understand some of the Chinese ways that even young Silvey is becoming embarrassed by - chewing loudly and talking loudly both at home and in public. With friend Judy, Silvey copes with a change of school, with first boy interests, and sees the inside of a non-Chinese home where she is accepted by Judy's parents. Scholastic NZ is to be commended for re-publishing this very readable story. 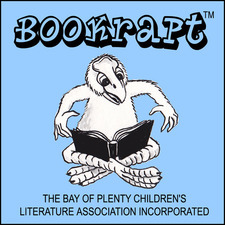 A finalist in the NZ Post Children's Book Awards in 2006, it has lost nothing with the passage of time. On the contrary, Silvey's story is even more important today. The more there is available to encourage understanding of New Zealand's past and its ever-changing nature the better New Zealand will fare. A must for senior primary/intermediate classrooms where it could easily be incorporated into Social Studies. to fetch his lunch with a quack quack quack. The next had forgotten his cap, another her drink, and so on. Stevie Mahardhika has added a turtle and frogs to the waters the ducks cross, and these add to the humour of the illustrations, with each duck individually dressed, one even with headphones on. Peter Millett has provided repetition aplenty with the other ducks reminding the ones returning home to 'hurry scurry back' and not to dilly dally. But there is also variation on the theme as the ducks swim, march and race, crossing soggy boggy grass, a muddy bay, a stream and a creek as well as the initial pool. The second book in the Taine McKenna series following the award winning ‘Into the Mist’. Taine joins his partner, biologist Jules Asher, on a Conservation Department deer culling expedition into Fiordland at the base of New Zealand’s South Island. It The second book in the Taine McKenna series following the award winning ‘Into the Mist’. Taine joins his partner, biologist Jules Asher, on a Conservation Department deer culling expedition into Fiordland at the base of New Zealand’s South Island. Its an isolated place, so when gunfire is heard and an injured man runs towards them, Taine goes on high alert. Part of a poaching expedition, the man and his companion stumbled across an ancient people, the Tūrehu (aka Patupaiarehe), the small remnants of a tribe who have been hiding out since Maori arrived in Aotearoa, and then Europeans, trying to keep their isolated tribe from exploitation and extinction. A submarine manned by a group of ruthless mercenaries who plan to traffic Tūrehu children, angry Tūrehu who are wary of Taine and his group, and a mythological sea creature make for explosive elements in this fast-paced action adventure. Edward's neck is "too long, too bendy, too narrow, too dopey, too patterned, too stretchy, too high, too lofty and too . . . necky." He is convinced everyone is staring at it and does his best to camouflage it. However, when he meets Cyrus, the torto Edward's neck is "too long, too bendy, too narrow, too dopey, too patterned, too stretchy, too high, too lofty and too . . . necky." He is convinced everyone is staring at it and does his best to camouflage it. However, when he meets Cyrus, the tortoise, he realises what an asset his neck is. Lane Smith ably illustrates Jory John’s delightful story about self-acceptance and body positivity. Using an earthy palette and plenty of texture, Lane brings the animals and their emotions to life and underlines the humour in this story. This book has a fantastic message but, more importantly, it is a great story that children will enjoy. The amount of text in this book makes it most suitable for older pre-schoolers or younger schoolchildren. We’d love your help. Let us know what’s wrong with this preview of Giraffe Problems by Jory John. Peter Goes, author/illustrator of Timeline, has produced another stunning, large format children's nonfiction book. This time the subject is the waterways of the world. The book is divided into seven regions: Europe, North America, South America, Asi Peter Goes, author/illustrator of Timeline, has produced another stunning, large format children's nonfiction book. This time the subject is the waterways of the world. The book is divided into seven regions: Europe, North America, South America, Asia, Africa, Oceania and Antarctica. The first page in each section contains a map of the area covered showing the oceans and seas, the countries and the main rivers. Quirky icons show some aspects of the country's culture - e.g. Britain has clouds, a bowler-hatted man with an umbrella and a woman with a teapot while Netherlands features a wind turbine and a man on a bicycle. The following pages, which show the courses of the main rivers, contain engaging illustrations linked to relevant facts about nature, history and culture. New Zealand features on the main Oceania page and there is a spread on the Waikato River that includes information on subjects as diverse as Abel Tasman, the haka, Polynesian navigation, the Sky Tower and Hobbiton. This nonfiction picture book is very beautiful with its richly coloured pages and almost monochrome illustrations. Unfortunately, on some spreads, important details have been lost in the gutter. Rivers will appeal to anyone who enjoys maps and/or interesting facts and may spark more in-depth research on topics that appeal. This is group for our lovely customers both near and far to participate further in book discussions. Take a look at Bookrapt’s Year in Books. The good, the bad, the long, the short—it’s all here.